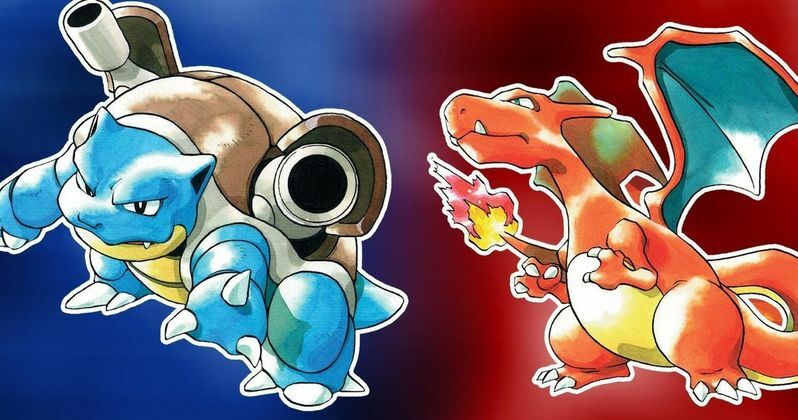 Is Legendary Entertainment developing a Pokemon Red and Blue live-action movie? According to a new rumor, the studio is allegedly working on the project, which will be based on the original Pokémon games. The news comes as Detective Pikachu prepares for release in May of this year. The Ryan Reynolds-starring movie just recently released the first trailer and Pokémon fans are pretty psyched for the live-action adaptation, which should end up doing pretty well at the global box office, as it hits theaters a few weeks after Avengers: Endgame. The Pokémon Red and Blue live-action movie is reportedly set in the same universe as Detective Pikachu, according to "trusted sources." However, it is believed that the story will be based on the original games that came out in the late 1990s. Obviously, this is a rumor at this time and should be treated as such. Legendary Entertainment might be thinking about the idea at the moment, but the deciding factor will ultimately be based on the success of Detective Pikachu later this year and an inventive screenplay. If the rumor proves to be true, this would mean that Legendary Entertainment is looking to make their own Pokémon cinematic universe, which could have some serious potential. A Mewtwo movie has also been rumored, so this could all turn out to be some pretty different projects when all is said and done. The rumored Mewtwo movie is separate from the upcoming CGI project and will reportedly be a much darker affair. That being said, Pokémon Red and Blue will more than likely pit the team up against Team Rocket. A Pokémon Red and Blue movie does seem like a pretty odd choice for a movie format, but stranger things have happened. Mewtwo is rumored to be the main villain in Detective Pikachu, though that has not been officially confirmed at this time. This could be where the Mewtwo movie rumors have come from. As for Pokémon Red and Blue, this could just be wishful thinking at this time. Until Legendary Entertainment makes an official announcement, both of these rumored projects will remain to be rumors from unknown "trusted sources." Unless they come up with an inventive screenplay, the movie could be pretty boring if they base it off of the game. Detective Pikachu is the only confirmed live-action movie in the works. Some fans weren't expecting much, but the first trailer provided a new look at the world of Pokémon, which even sucked people in who aren't even fans of the franchise. The movie hits theaters on May 10th, and it's expected to be a worldwide hit, though it probably won't approach Avengers: Endgame box office numbers. As for the Pokémon Red and Blue live-action movie and the Mewtwo movie, we'll just have to wait and see what happens. You can check out the original report over at We Got This Covered.